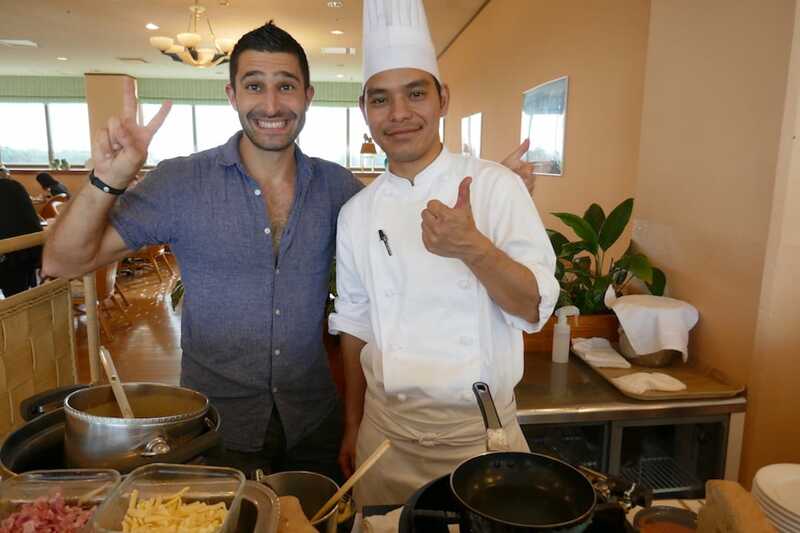 We love Japanese food, especially the desserts. Matcha is finely ground green tea powder yumminess and is the base for a lot of sweet prizes in Japan, like cakes or ice cream. Anything with matcha in it gets us very excited and definitely ranks as one of our 10 favourite Japanese foods. To find out more, check out our 8 quirky and interesting facts about Japan. 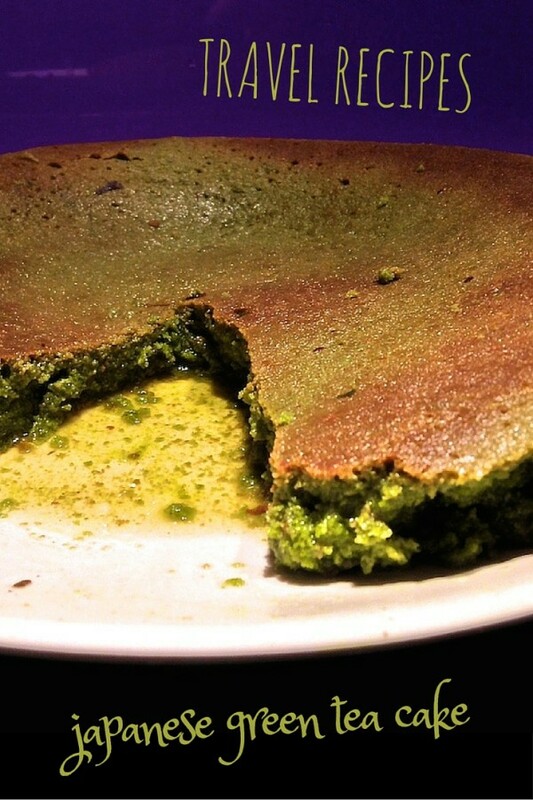 Our favourite is green tea cake with a delicious sweet syrup. 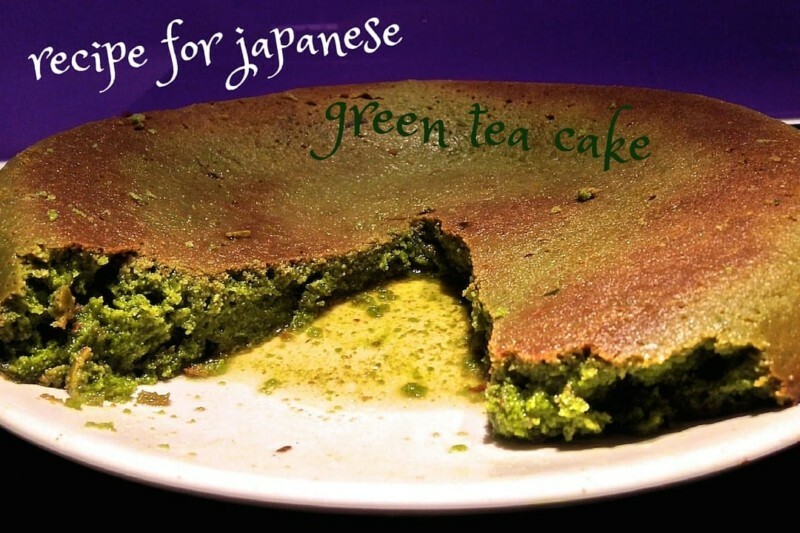 This recipe for Japanese green tea cake is very simple. For the matcha powder, you should be able to find it from our local oriental supermarket. Recipe for Japanese green tea cake: the ingredients! Pre heat over to 180 degrees celsius and grease up a prepare a baking tray. Sift the flour, baking powder and matcha powder in a bowl. Melt the butter in a saucepan on a low heat then set aside to rest. In a mixing bowl, whisk the 4 eggs with 150g sugar until it blends well and triples in size. Fold in the sifted flour mixture and gently add the melted butter. Add the cake base to the baking tray and bake for around 30-35 minutes at 180 degrees. After around 30-35 minutes, test the cake with a toothpick: pierce it. If the toothpick comes out clean, the cake is ready. For the syrups, mix the green tea in boiling water for 5 minutes so it infuses well. Strain the tea in a small saucepan, add 150g of caster sugar and stir on a low heat until sugar dissolves. Increase heat and boil for 5 minutes to create a light syrup. After remove from heat and keep aside 4 tablespoons of the syrup. Remove cake from the oven and let it rest for 10 minutes. Pierce the cake with a fork in a few places then evenly pour the syrup. Mix the 4 tablespoons of green tea syrup to the creme fraiche and serve with the cake. The cake is yummy when freshly baked but also after it has been chilled. This makes a fitting accompaniment to some classic Japanese noodles dishes, for example, check out our recipe for yaki udon and chicken ramen recipe. Read more about our Japanese experiences, such as when we dressed up as geisha in Tokyo, the gay scene of Tokyo and our 10 days itinerary to Japan. Also, major travel tip from us: when you're heading to Japan, be sure to look into renting a pocket WiFi to cut down your roaming charges.